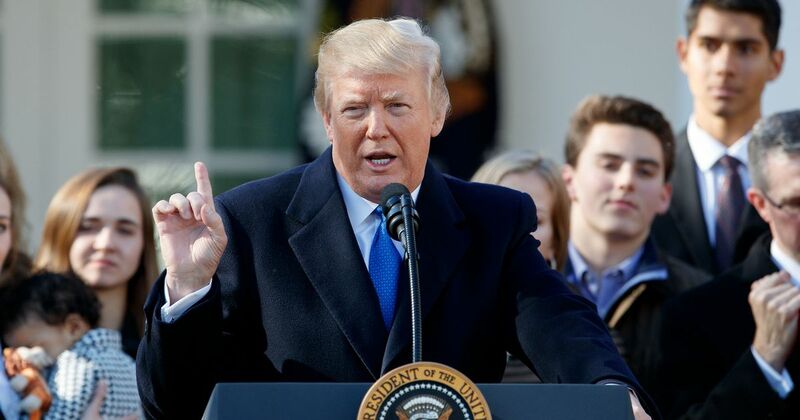 President Donald Trump gave a strong pro-life message during the State of the Union Address . He lamented that fact that the governors of New York and Virginia for promoted abortion up to birth and infanticide. And he called for Congress to pass a ban on late-term abortions on babies who are capable of feeling pain. I am also proud to be the first President to include in my budget a plan for nationwide paid family leave -- so that every new parent has the chance to bond with their newborn child. There could be no greater contrast to the beautiful image of a mother holding her infant child than the chilling displays our Nation saw in recent days. Lawmakers in New York cheered with delight upon the passage of legislation that would allow a baby to be ripped from the mother's womb moments before birth. These are living, feeling, beautiful babies who will never get the chance to share their love and dreams with the world. And then, we had the case of the Governor of Virginia where he basically stated he would execute a baby after birth. To defend the dignity of every person, I am asking the Congress to pass legislation to prohibit the late-term abortion of children who can feel pain in the mother's womb. Let us work together to build a culture that cherishes innocent life. And let us reaffirm a fundamental truth: all children -- born and unborn -- are made in the holy image of God. ...... We must keep freedom alive in our souls. And we must always keep faith in America's destiny -- that one Nation, under God, must be the hope and the promise and the light and the glory among all the nations of the world! Thank you. God Bless You, God Bless America, and good night! We greatly appreciate the leadership President Trump has shown in advancing the cause for life during his time in office. Tonight, he used his State of the Union address to highlight the extremism of the pro-abortion agenda most recently and fully on display in New York and Virginia, and stressed the need for legislation like the Pain-Capable Unborn Child Protection Act. President Trump has once again demonstrated the paramount importance of protecting mothers and their unborn children. “Never before has the contrast between the two parties been more clear, as there seems to be no line that the Democratic Party will draw when it comes to protecting either life in the womb or the health of women in abortion facilities. And as we saw with Pelosi’s guest, Planned Parenthood has friends in government as it draws in more than half-a-billion in taxpayer dollars.